“There is a large and united coalition growing in Nebraska. It started with the pipeline and it is moving into clean energy,” said Graham Christensen, Director of the Nebraska Farmer’s Union, and member of a new coalition called Clean Energy Nebraska. “There are a lot of people working hand in hand. There is no going backward,” he said. The Farmer’s Union, the Nebraska Wildlife Federation, The Nebraska Sierra Club and The Center for Rural Affairs are members. Each organization appeals to a different audience. “The Farmers Union is on the progressive spectrum of farm groups. But, as farmers, we can talk to folks that the Sierra Club and the Wildlife Federation can’t talk to,” Christensen said. All long-established organizations, the level of collaboration and focus is new, heightened by the fight against the Keystone pipeline and encouraged by the potential progress that could be made. It will be a carrot and stick fight. Nebraska is far behind other states in the transition to clean energy, and the interests opposing it are well financed, but there is hope the tide is turning. The Farmer’s Union has taken the message of clean energy all over the state thanks to a grant from the National Renewable Energy Laboratory and the Department of Energy wind outreach program. Christensen and Farmer’s Union President John Hansen traveled to 255 meetings in three years to educate farmers on wind, carbon credit programs and farmer-produced fuels as economic development. Christensen is a partner in a proposed wind farm with six turbines in Burt County and has first-hand knowledge of the steps and costs required to create a wind farm. Nebraska ranks fourth in the nation in wind potential. According to the Nebraska Energy Office website, energy generated by wind power is estimated to be a mere 0.46 percent of Nebraska’s energy consumption in 2009 and 1.13 percent and 1.15 percent of the electricity generated in 2009 and 2010, respectively. CEN wants that number increased to at least 20 percent by 2020 – a number Iowa might have hit this year. Other activists work in opposition to policies that would increase carbon dioxide in the atmosphere, with the Keystone Pipeline taking center stage in that fight. The Farmer’s Union, BOLD Nebraska, 350.org, Nebraskans for Peace and the Nebraska Sierra Club are committed to stopping the pipeline. Attorney Ken Winston of the Sierra Club worked with landowners who filed a lawsuit challenging the constitutionality of LB 1161, a bill that would give eminent domain to a foreign corporation and allow Governor Heineman to select a pipeline route instead of the Public Service Commission. “If LB 1161 is found unconstitutional, the Governor would be out of the picture and the Public Service Commission would start a review of the alternate route.” Winston said. Another battle against carbon emissions is the Sierra Club’s national Beyond Coal campaign. They recently sent a community organizer to Omaha to educate the public about the dangers of emissions from North Omaha Station. Omaha Public Power District uses as much as 7.5 million tons of coal per year, 2 million at this plant. Graham Jordison completed a successful campaign in Chicago that shut a coal plant down and he hopes this community will influence OPPD to speed up its plan to convert NOS to natural gas. At the October OPPD board meeting, it was announced that one of the generators at North Omaha Station was in need of repair with cost estimates anywhere from $500,000 to $6 million. Atkieson suggested that it would be better to convert that generator to natural gas than repair it. Cynthia Tiedeman, a retired nurse from Omaha Public Schools, expressed concern about the public health effects from mercury and sulfur dioxide. “I think North Omaha Station is hazardous to our kids,” Teideman said. She reminded the board that sulfur dioxide and nitrogen oxides are respiratory irritants, and that Omaha’s asthma hospitalization rate is the highest in northeast Omaha. NOS emits more than 300 pounds of mercury per year and, of the 51 coal plants located in urban areas, Tiedeman claimed it ranked first in mercury emissions. “Closing old, inefficient, coal plants is a historic opportunity,” she told the board. She also announced that NOS and Nebraska City #1 were named “ripe for retirement” in a November 2012 report by the Union of Concerned Scientists that listed 353 coal plants in the United States it wants shut down. The OPPD board meeting is Thursday, Dec. 13, 10 a.m. at OPPD’s Energy Plaza. The board generally meets on the third Thursday of the month. Clean Energy’s vision of stopping the Keystone XL pipeline is not shared by Congressmen Lee Terry of Omaha, Adrian Smith of western Nebraska, U.S. Senators Deb Fischer, Mike Johanns or Governor Heineman. Congressman Jeff Fortenberry of the 1st District has opposed fast track approval of the pipeline in the past, stating that the environmental impact statements must be completed before a decision can be made. 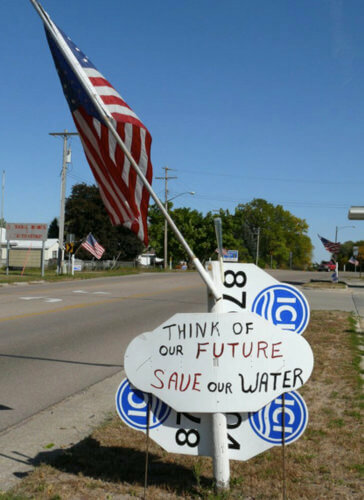 NDEQ’s meeting in Albion on Dec. 4 at 6 p.m. is open to the public.